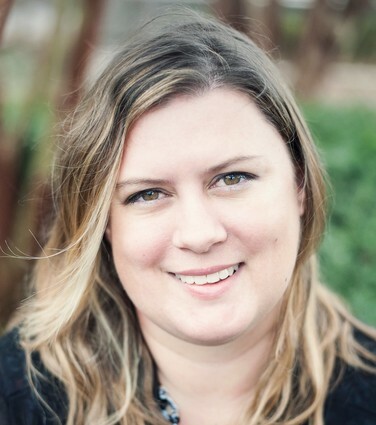 Kristin Larsen is the creator of Pinterest Presence, an online course designed to help businesses and bloggers drive traffic back to their profitable websites from one of the hottest platforms around. As a new freelancer, Kristin launched a successful Pinterest management company and within her first six months, was averaging $3,600 a month – only working part-time! 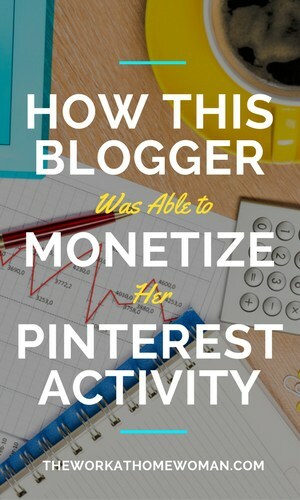 Read on to see how this blogger was able to monetize her Pinterest activity and work from home by becoming a Pinterest Virtual Assistant. Hi, I’m Kristin! I created Believe In A Budget in January 2015 to share my adventures in side hustling. I’ve had a ‘side hustle’ mentality for years, without actually knowing that was a phrase until a couple of years ago. Like many other new bloggers, I was at a loss for traffic in the early stages. I just didn’t understand how to get traffic. I had a hard time with SEO, ‘long tail keywords’ didn’t make any sense to me, and I barely had a grasp on social media. It wasn’t until I started looking into Pinterest that everything started clicking! Within one month of using Pinterest, my page views went from 5,000 to 17,000. Over the next six months, my page views continued to climb, and before I knew it, I hit over 200,000 page views in one month, which I thought was totally crazy. During this time, I wrote a case study on how Pinterest was driving traffic back to my site. At the time, I wasn’t even sure if I should publish the post because it had nothing to do with side hustling. I figured, well, if I can help one person by showing them what Pinterest did for my website, then it would be worth it! Little did I know, that blog post changed my life! Shortly after hitting publish, fellow bloggers started reaching out to me about hiring me for Pinterest services, and the rest is history. Nope! I have dual degrees in Business and in Interior Design. I spent the last 10 years working as a commercial and residential designer before deciding to learn how to start a blog. Part of the reason I get so excited about having a blog and business is that it really doesn’t matter what your background is. There are no special requirements needed to start an online career; anything is possible as long as you have a good work ethic and determination to succeed. How did you finally settle on your niche? I always knew I wanted to blog about side hustling. Since I was a teenager, I was always hustling hard to earn extra money, and this has carried over into present day. I have done so many different kinds of side hustles that I thought it would be helpful to share all my experiences on how to make money by starting a blog. As I mentioned above, my blog took off when I wrote a post about how using Pinterest helped grow my traffic. Soon after hitting ‘publish,' fellow bloggers and businesses reached out to me to see if they could hire me to help grow their Pinterest presence. Within a few weeks, I had a long list of clients that needed help. Shortly afterward, I gave my notice at my job and decided to pursue a freelance career as a Pinterest Virtual Assistant. Today, I have three different niches that are all intertwined. My niches include side hustling, blogging, and freelancing. While each is unique and different, they easily crossover with each other. I was fortunate that many of my clients reached out to me. I think one of the main reasons was because I was one of the only bloggers offering Pinterest services at the time and said yes to everyone. I relied primarily on word of mouth and referrals. Eventually, I created a ‘Hire Me’ page on my website and received even more inquiries from businesses. I also send out a handful of cold pitch emails to some of my favorite bloggers, including Gina from Horkey Handbook. I would never have imagined that a year after working together, we would partner up and create Become a Pinterest VA TODAY! My income streams have grown since launching my blog. Today I earn income from my courses and products, affiliates, sponsored posts and brand partnerships, and ad revenue. Recently I’ve shifted my focus and time from offering my Pinterest management services to focusing on my Pinterest courses and products, as well as helping students succeed. Now when I receive client requests, I love that I’m able to refer so many students from Become a Pinterest VA TODAY! and match up students and clientele! Everything feels like it’s come full circle. You have a course, Become a Pinterest VA — tell us about that and who would benefit from this course. This is such a niche-specific course that is designed for a freelancer or virtual assistant who understands and uses Pinterest on a regular basis but wants to take it to the next level by assisting other bloggers and businesses. I combined forces with my partner (and former client) Gina Horkey from Horkey Handbook. We took my Pinterest VA skills and her amazing VA skills and created the ultimate course on how to become a Pinterest Virtual Assistant. 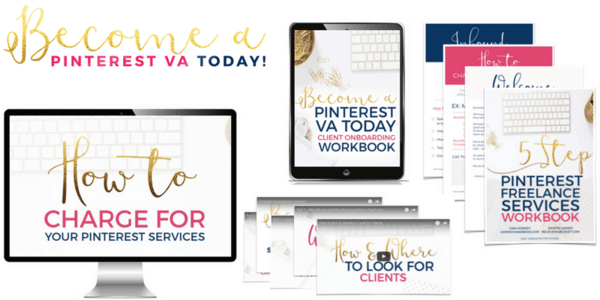 The course teaches VA’s how and where to find clients, how to pitch clients, design Pinterest pins, track pinning schedules, and more! There is also an entire module that helps VA’s put together different service packages with pricing, which is based on my career as a Pinterest manager. There’s not fluff – we teach students exactly how much they should be charging! What advice do you have for other women who want to start their own Pinterest VA Business? Starting a Pinterest VA business is such a great niche specific career that is in huge demand. Pinterest continues to grow and shows no signs of slowing down. A Pinterest VA or manager is different than a social media manager. Since Pinterest isn’t really a social media platform, more and more bloggers and businesses are hiring strictly Pinterest VA’s and managers. Because of the demand, this is a really well-paying industry! As a busy entrepreneur + blogger how do you manage all of your personal and business activities? I’ve had to work at getting organized. I track out my yearly goals, and then break everything down by quarter and go from there. This helps me figure out course launch dates, partnerships with brands, etc. On a weekly and daily basis, I rely on my planner, which never leaves my side, ha! I try to streamline my to-do lists and work in batches. I also have recognized what I’m not good at, so while I don’t have a regular VA, I will hire out for certain tasks. At the end of the day, it can be hard to shut things down because I enjoy what I do. Having a good work/life balance is essential though, which only makes me more excited about waking up each day and doing what I love. If you'd like to find out more about becoming a Pinterest Virtual Assistant, click this link. Glad you enjoyed Kristin’s interview, Mary! I really enjoyed readng this interview post. I am enrolled in Gina and Kirsten’s Become a Pinterest VA course. It’s fantastic–not at all fluffy, like Kirsten says here. I recommend it! Hi Sally, So glad you enjoyed Kristin’s interview! I have to agree, Kristin and Gina put out some great courses with very actionable steps and tips. How’s your Pinterest VA business going? No doubt I’ll be passing this along! I wish you much success Kristin! Have a great day and rest of the week ladies!